Professional photographer Ryan Bolton braves bone-chilling temperatures to take photos of life in Toronto. Want to do the same? Here's how. 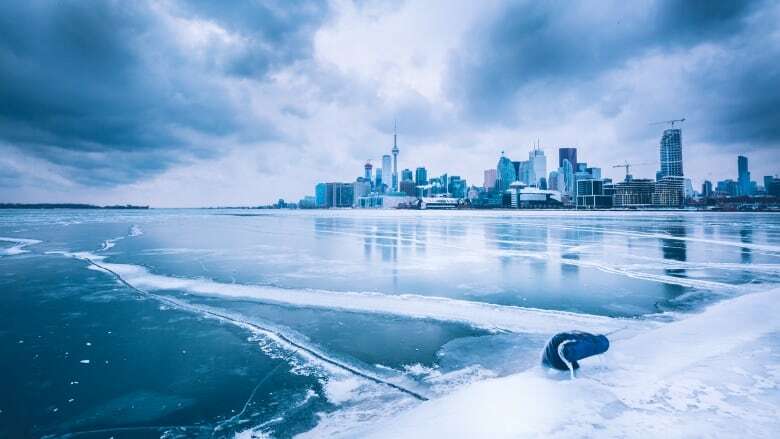 Toronto is getting ready for another extreme cold warning as temperatures of -30 C are expected between Friday and Saturday, making it as good a time as any to huddle under the covers inside. But not for Ryan Bolton. 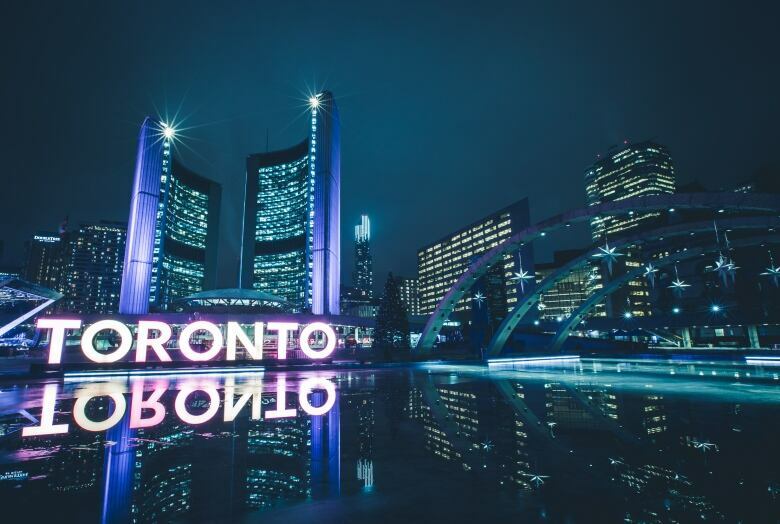 The Toronto-based professional photographer, who has a following of thousands on Instagram, braves all seasons — including the bone-chilling cold — to take the perfect snap. 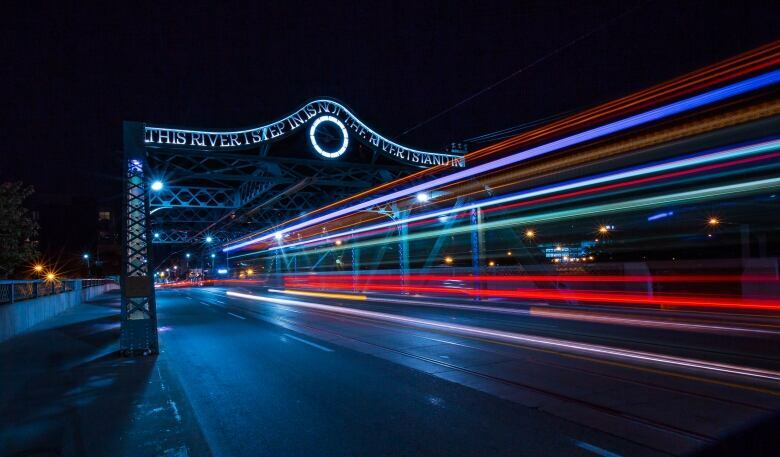 "As a photographer, what you want to do is showcase the beauty of this city ... One of the greatest things about the winter is the landscape is constantly changing," Bolton said. 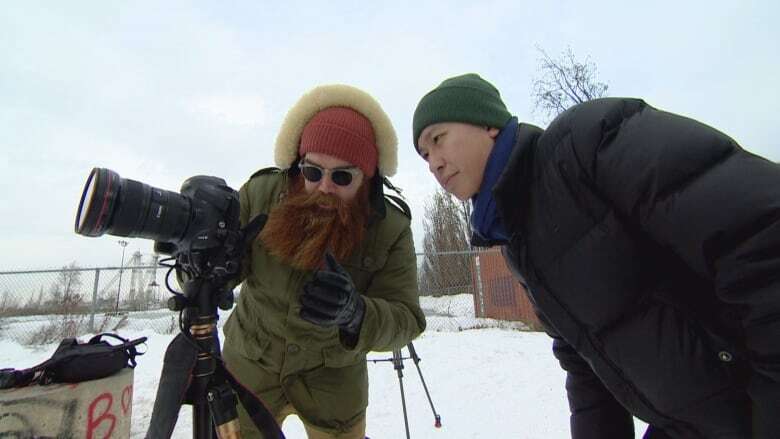 CBC Toronto reporter Adrian Cheung went out on a shoot with Bolton Wednesday and got some valuable tips for burgeoning photographers on how to capture that beauty while staying relatively warm. It can take hours to take the perfect shot and Bolton said you have to prepare properly. "Dress for something that's even colder than you think it is," he told CBC Toronto. Bolton says he wears multiple layers including an extra fleece sweater, a military grade winter coat, thick toque and gloves. "A hood [on the jacket] is crucial, especially to keep the head warm, the rest of the face warm. Camera equipment can be sturdy but in sub-zero temperatures, it can easily fail too. 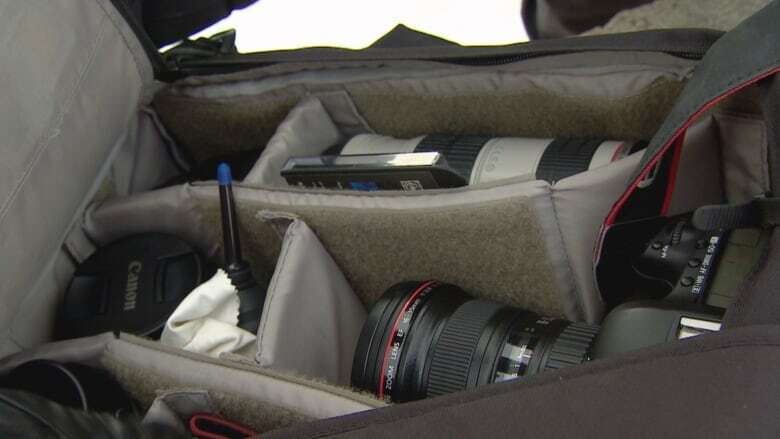 The inside of Bolton's bag is packed with extra camera bodies, lenses and wiping cloths. 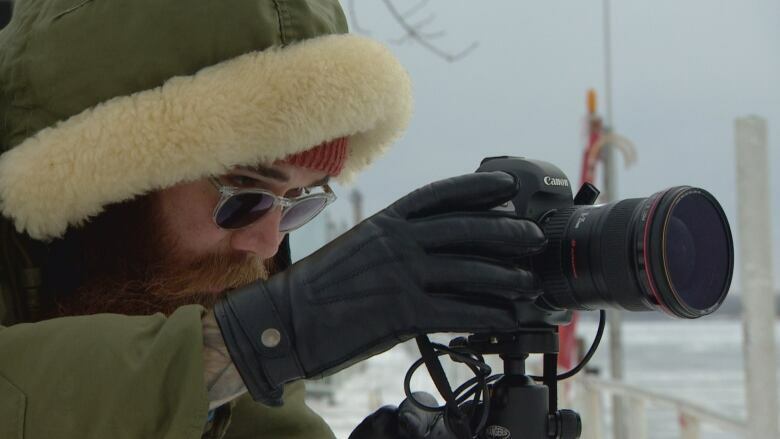 (Paul Borkwood/CBC News) "I always bring two camera bodies, extra batteries, a variety of lenses and something to clean off in case there's snow or ice on it. Bolton urges photographers to bring more batteries than they think they'll need, as they are known to quickly deplete in the cold. What makes winter shooting different? Despite the threat of frostbite, Bolton said he loves shooting in the winter. "There's adventure from seeing your city in a different way ... This is a totally different perspective," he said. He also recommends bringing different lens filters depending on different light and glare given off from snow and ice. But even winter warriors experienced in preparing for the cold have their limits. Bolton isn't planning to spend time outside if temperatures plunge below -30 C.
"I'm happy with how things are going [on this shoot]. But those days, it's too cold."